I’ve chosen Ethlend because Eddy Lubof, a friend of mine who is currently in the process of setting up his own blog and owns a popular Facebook group, bought 10000 tokens at the ICO stage, this means we have the chance to pick his brains on why he chose the ICO. Eddy will also be investing in the ICO that goes live at the end of the month. Ethlend is a decentralised peer to peer lending platform based on the Ethereum blockchain (ERC-20). Read more about how ICOs and ERC-20 work. Owners of LEND the Ethlend token can earn interest from their tokens by lending them to borrowers. What problems does Ethlend overcome? Ethlend creates true global lending which means more competition and better liquidity amongst lenders, less control for banks and the disappearance of interest rate differences between countries. The loans are secured using ERC20 or ENS domains as collateral which eliminates the need of subjective assessment of the borrower, unsecured loans can be given dependent on borrowers reputation (a proxy for credit score). 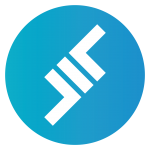 The Ethlend system allows lenders to place loan offers and borrowers to place loan requests. This information was all freely available at ICO stage and it was not without competition – SALT. SALT was already at a couple of dollars per share at Ethlends ICO launch date and was based on the same idea, SALT is now sat at $10.66. Some saw this as a put off but others like Eddy saw the opportunity, he bought 10000 tokens at $0.01 at the ICO stage selling them yesterday at $0.26, he is going to use this investment for the upcoming ICO . The price per token is now $0.21 (so good call to sell yesterday from Eddy). It has been up to $0.43 per share. To put this in perspective Eddy received 26 times his investment. It is much easier to take a $0.01 token to $0.26 than it is to take a $3 token to $78. This is why ICOs carry the potential for massive rewards but also carry the greatest risk – that the tokens will be worth nothing after the ICO. 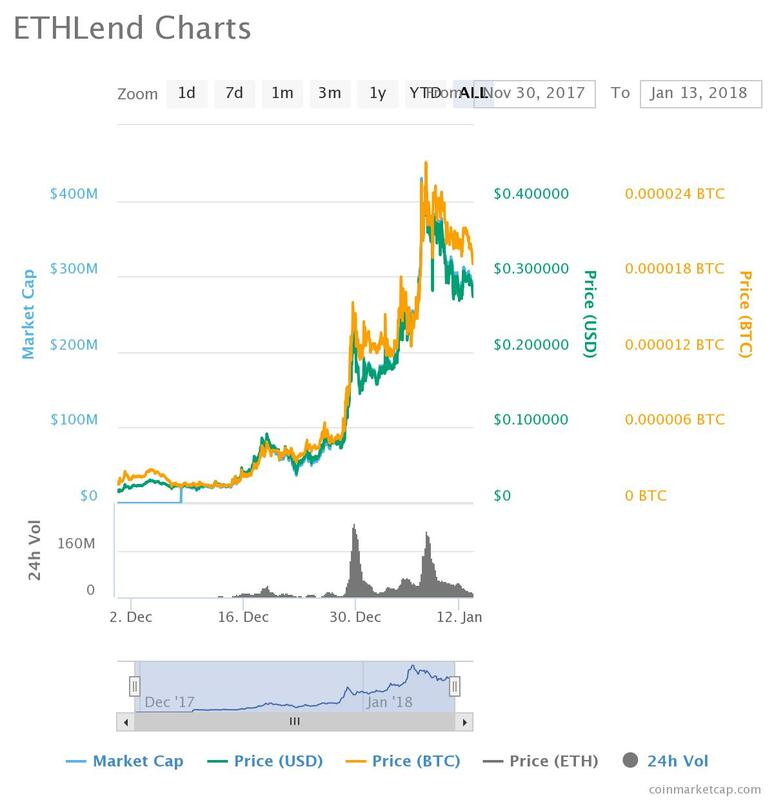 Hi James, so here is my opinion on Ethlend and the reasons for its success. To start of with it was a great name, now this may sounds mundane but almost all the successful coins have great names and the names have something to do with the industry; Bit, Electro, Cash, Token etc. (there are obviously examples which disprove this but the majority fit into this) – thus ETH (Ethereum) LEND instantly caught my eye and to be honest I straight away knew what their idea was, you can lend your ETH tokens and get % for doing so. After doing some whitepaper research I looked at the market and saw that SALT was their only major competitor (at the time) and their price was over a number of dollars at that time (showing me that this has potential if executed correctly). The second step I took was to join their telegram group. Now hands down James even to this day the Lend community on telegram is the best Crypto community I have ever joined (not one of the best but the best) every one works together to promote, to vote, to spread awareness and HODL the coin. The ADMINS were always responsive and answered almost 100% of the questions even when they were asked 100x times over and over. Not a lot of community admins do this the just give up and say read the pinned post. Now the actual owners and directors, they went out and did it, they didnt sit in their office and try ride it out they went out and made partnerships for example with swiss borg (another ICO) and they would keep the community updated thus creating a hold they also promised to reinvest 20% of their earnings into buying new coins and I have seen this and it created a huge price inflation. Telegram is a group chat application that most ICOs run, it works like what’s app. You regularly see 20k+ members in these groups. What creates a higher price per token is investors holding on to them (HODL). To do so the investors need confidence in the project. The benefits of Ethlends project spoke for itself and was already proven by an established competitor. I think what made this project increase in price in the face of an established competitor was great management by directors and employees (community admins on Telegram) which was underpinned by an active community who were confident in the project. When looking at our ICO at the end of month I will apply this equation to it to see how it stacks up! Although worried about the 1000 ICO and ITO offerings you see on Facebook, a large proportion of which must be slightly scammy in the least, I shall still be investing if somewhat small in this upcoming project. I just wonder how it’s possible to seperate all the wheat from chaff? Is this ICO going to purchasable by cash or just crypto? Just would like a heads up so I can move some resources around. Hi Ste, the web is littered with scam coins however if you do a little research into them most fall apart. If the company has a Telegram group chat and they are answering questions viewable by all then they tend not to be scams, the Crypto community are getting wise to scam coins. This is not to say that it is not risky as although everyone may believe in the project it still may fail. If you concentrate on the 4 points I mention above and base your due diligence around them you will increase your chances of investing in a successful ICO. How To Participate In and Buy a New Crypto Coin at Launch ICO (Initial Coin Offering). Also invest whatever you are comfortable with just remember this is the highest risk when investing in Crypto! Whatever I invest I am prepared to lose if the project fails. I will be posting regularly on my blog about the ICO so you can follow along how my investment play out and if I am going to sell etc. Hi Joy, I will be writing a post about the ICO on the 22nd. I will detail where to buy it then. It will involve signing up on the ICOs website. The ICO does not go on public sale until the 29th so you will have plenty of time to buy.